A pair of cut glass decanters with cut glass ball stoppers. 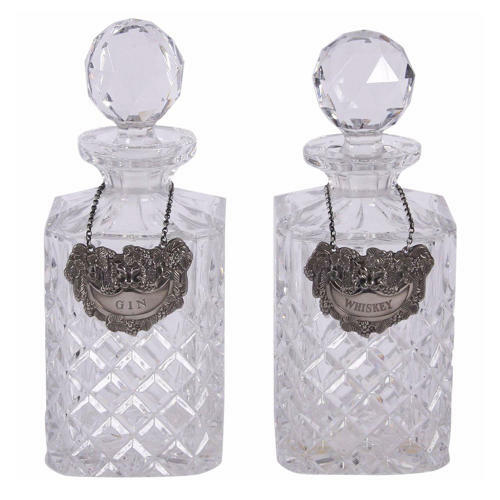 Each decanter has it's own pewter label, one engraved with 'Whiskey' the other with 'Gin' and decorated with a tiger and vine design. Fantastic quality with no chips or other damage.